Complete with with soft closing seat. Nicole wall faced pan features a curvaceous sculpted pan and superior four star performance. 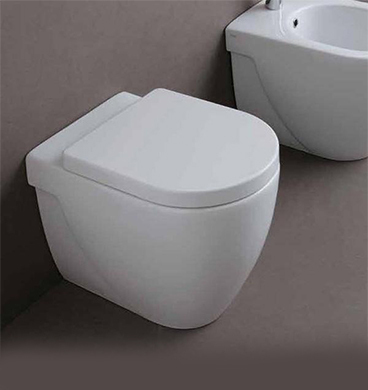 Nicole is characterised by a curvaceous pan and gently sweeping cistern. Coupled with superior four star hydraulics this is a classic of Italian design and manufacture.